Understanding how to use technology is a necessity in our modern society. We are proud to be serving people throughout the Greater San Francisco Area by teaching them how to use computers and the Internet. 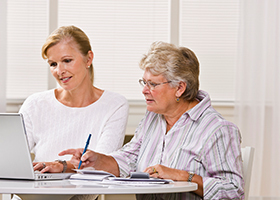 If you or a loved one needs technology education, take a look at our programs to see how they may help you. 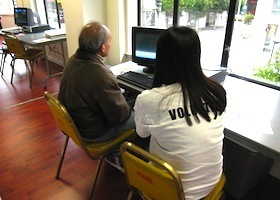 SF Connected is an initiative that provides free computer tutoring and support to seniors and adults with disabilities. This program seeks to teach computer and Internet skills to seniors by teaching them how to use broadband technology such as social media and video communication. Our digital connectors program works with youths from the ages of 14 to 21 to teach them how to use the latest technology to help them succeed in the modern world. It also helps these adolescents and young adults get involved in their community and become leaders to those around them. The Internet can be confusing. We educate underprivileged families on how to navigate the Internet and other advantages the Internet can offer. This programs helps people in our communities understand the benefits of technology. Take a look at what our program can do for you. Disputes and complaints regarding phone bills are not uncommon. Our TEAM (Telecommunication Education and Assistance in Multiple-Languages) program is free of charge and offers education and complaint resolution to non-native English speakers. Electric Vehicles for Everyone is a program that provides education and assistance to our community members who may be interested in purchasing electric vehicles. This event provides Zero Emission Vehicle awareness and education and it will allow attendees the chance to check out the electric cars personally, rather than seeing them on TV or going to a dealership.